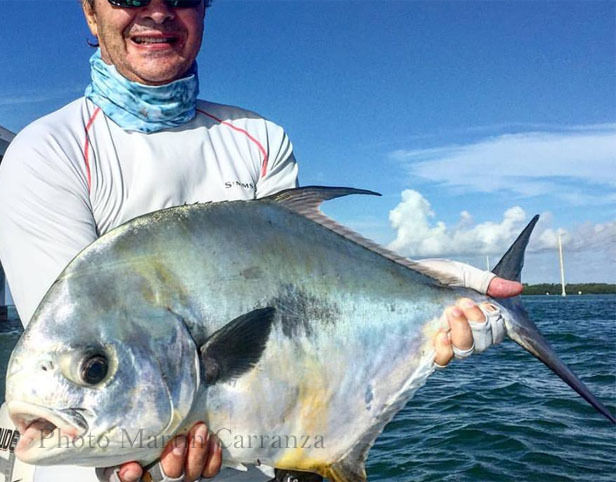 "Biscayne Bay's flats fish are big and they are abundant. 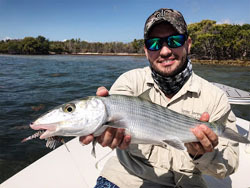 Bonefish average 6 pounds, and 10-pounders are not uncommon. Tarpon in the 80- to 100-pound class are the norm. And permit weighing 20-30 pounds are not unusual. 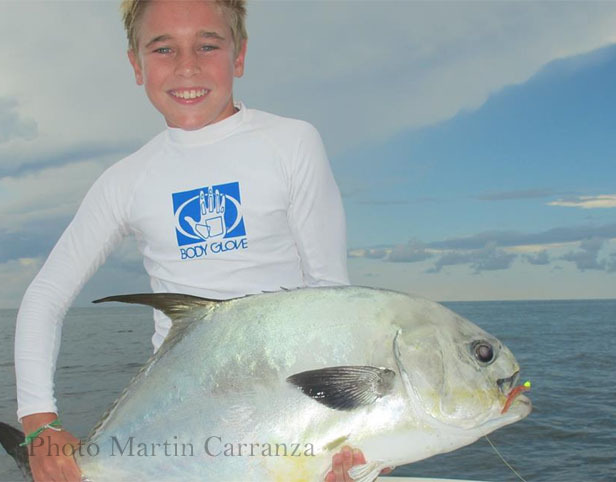 What's more, big schools of big fish are found throughout vast areas of Biscayne Bay"
Biscayne Bay, on the doorstep of Miami, has some of the best, and most accessible flats fishing found anywhere in Florida. There are seasonal highs and lows for fish populations, the best angling activity is keyed to air temperature and the corresponding flats water temperature. In the spring the flats water temperatures begin to rise drawing permit into thin water, that's the best time to go. TRIP INCLUDES: Pick-up and drop-off Miami International Airport, Safari Style Accommodations, Meals and Guided Fishing, Licenses and Permits. Maximum 2 rods per trip. LODGING: Safari Style Accommodations at Elliot Key, private tents with bathrooms and showers nearby. FOOD AND BEVERAGES: Full board including dinner on the first day up to breakfast on the last day. Our outstanding surf and turf fare, snacks and beverages between meals. •	Bring along a few fly rods from 8-12 weights in single handed versions. •	Tropical floating lines are the norm but when the water is deep intermiate sink tips of varying densities can be used. •	Leaders and tippets range from 9' to 12' with a breaking strength of 10 lbs to 20 lbs. •	Good quality wading boots and boat friendly deck shoes. •	Pack insect repellent, the misquitos can be a real bother on calm warm days. •	Not included - taxes, alcohol and tips. Full payment is due 90 days prior to departure and start of trip.